Congress and the President remain deadlocked over a deal to increase the federal photography storage ceiling above the current level of 14.3 gazillion photos. At current shooting rates the storage limit will be reached on August 2nd. With no deal to extend the limit, the photography community faces an uncertain outcome. Some claim that there will be no room to store new photographs. Others claim that photo taking will continue unaffected. The crisis is rooted in the recent development of digital archiving. In the film era storage was not a problem, or at least less of an issue. Photographers generally shot images in manageable quantities, and kept files of negatives in various closets and shelving units. With the advent of the digital age in the late 1990s, the rate of shooting has increased exponentially. Today every single person on earth owns at least two cameras and makes images at an average rate of 10 photographs per person per hour. 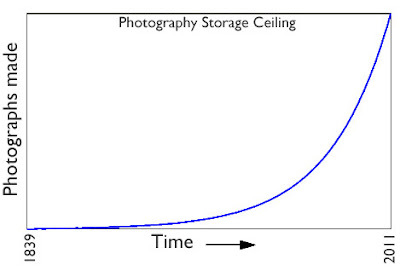 At that rate the world will exhaust its storage capacity on August 2nd unless the storage ceiling is extended. Negotiations for an extension have continued over several months, but remain deadlocked in deeply partisan divisions rooted in philosophical outlook. 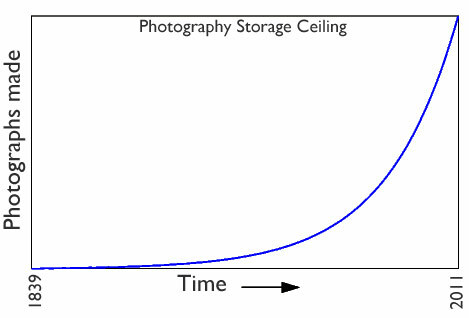 Republicans want to cut current photo taking levels as a precondition of the ceiling's extension. Democrats seek to expand the world's memory capacity. Neither side seems willing to budge. The photography futures market was slightly downgraded on Monday as photographers rushed to fill the small available storage capacity with their images. In the absence of any extension, the market is expected to become increasingly chaotic as August 2nd approaches. Are Republicans also trying for a constitutional amendment to ban Full Auto mode? There should be no restrictions from my camera to tell me how to take a picture. Clearly, something must be done about the top 2% with their M9's, S2's, D3X's- to say nothing of their medium format digital backs! Failure to do so by 8/02 will result in nothing less than the Sigma SD-1 being brought in at five figures. Yes, the fatcats shooting 50 MB files are using up more than their fair share of the storage capacity. Yet for some reason Republicans are afraid to go after them. They seek to balance the storage debt on the back of the little guy shooting 8 MB files. It seems irrational but I'm sure there's some logical justification. Otherwise I'd be forced to conclude that they're just assholes. We need to raise the electron ceiling. The balance of power could very well depend on who is ultimately able to sway and/or wrest power from the ultra right, evangelical film conservatives. I've destroyed all my compact flash cards so that my children's pictures will not affect capacity in the future. Or something like that. Dammit, that's it. I'm joining the Tri-X party.